Houston, TX – Jodie Fontenot of Jodie Pilates Houston announced today that she has recently satisfied all the requirements to teach Pilates to breast cancer survivors through the Pink Ribbon program for Post-Operative Workout Enhancing Recovery as a Post Rehabilitative Breast Cancer Exercise Specialist out of her northwest Houston studio located in the Willowbrook area of Houston TX. Fontenot has been a personal trainer since 2004 and a Pilates instructor in the northwest Houston, Spring and Cypress areas for several years, however this certification will allow her to be of more value to her patients that are breast cancer survivors. “I am excited about how I will be able to effectively help breast cancer survivors increase their mobility and increase their chances of continuing to stay cancer free”, says Fontenot. She teaches pilates to her clients in a private fitness facility located in Northwest Houston near Willowbrook Mall. If a breast cancer patient has surgery to remove the cancer or take the breast off, they will lose the strength in their arm and on that side of the body. Taking Pilates twice a week will help rebuild that strength. Some patients are not able to pick their arm up over their head, which prevents them from doing simple things like washing their hair and putting clothes on. With Pilates, the patient can often regain shoulder mobility and strength. After having surgery, circulation in the body often times become poor. Poor circulation is not good for the body and can easily cause blood clots which will only cause more problems. Taking Pilates classes will help with the circulation in the body. Pilates is often very effective in helping improve circulation. Taking Pilates after you have had surgery reduces the chances of you getting breast cancer again. The Pilates will help heal the body and your chances of recurring cancer will be less. Since Fontenot customizes each routine for each individual client, this allows her to focus her specialized knowledge on the unique needs of every person she instructs. Since incorrect form can often cause injury, it is generally not recommended for one to try the exercises unattended without the benefit of a Rehabilitative Breast Cancer Exercise Specialist. For more information about the services Jodie Pilates of Houston TX provides, please visit the website at JodiePilates.com. If you are looking for Pilates in Houston, I can help. I teach Pilates classes aimed to get you in better shape and make your body feel a whole lot better. Are you trying to decide if Pilates is right for you? Well, let me help you. Let me explain just what you benefits you can gain from Pilates. 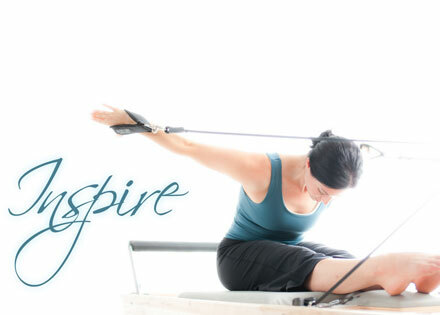 Strengthen the Spine – One of the things Pilates will do is strengthen the spine. Doing certain Pilates routines will allow you to build up your spine, which in turn will help you have better posture and make you feel a whole lot better. Eliminate Back Problems – If you suffer from back problems, you should try Pilates. By using a Pilates routine, you will strengthen your core muscles and relieve the pain in your back. Pilates are great for people with lower back pain. If it doesn’t eliminate your back pain altogether, it can reduce it tremendously. Tone Up Key Areas – Pilates will also tone up your key areas like your tummy, hips and buttocks. So, if you are looking to tone these areas, Pilates maybe your best bet. Maximize Your Strength – Not only will Pilates strengthen your spine, but it will also maximize your overall strength in your body. If your body is weak and you can barely get around, take a Pilates class and you will see a big change. Become Better in Sports – If you are an athletic and looking to become better at the sport you play, you should also try Pilates. Pilates will help tone you, strengthen you, give you better balance and more. In turn, you will feel better and be able to perform better. So, if you are looking to improve any of the areas above, try Jodie Pilates in Houston. You will not be disappointed, and no doubt will improve yourself, your body and your mind! Call today to setup your free Jodie Pilates Houston consultation at 713-398-2370 or email us here.